Giveaway coordination. We utilize Rafflecopter so you can offer one prize package or several. Winners are chosen and sent to you at the end of the tour. Giveaways are not necessary during tours but they are highly encouraged. Prices effective for any tour booked after February 1, 2017. BBT utilizes Rafflecopter entry forms so authors can offer one prize package or several - winners are chosen at the end of the tour. Please understand Bewitching Book Tours is not responsible for missed stops on your tour. After the tour is scheduled and all of the tour materials have been sent out, it is the responsibility of the Blogger who signed up for the tour to post materials on their designated day. added to another tour package. ​Do you have a new release to create a buzz for? 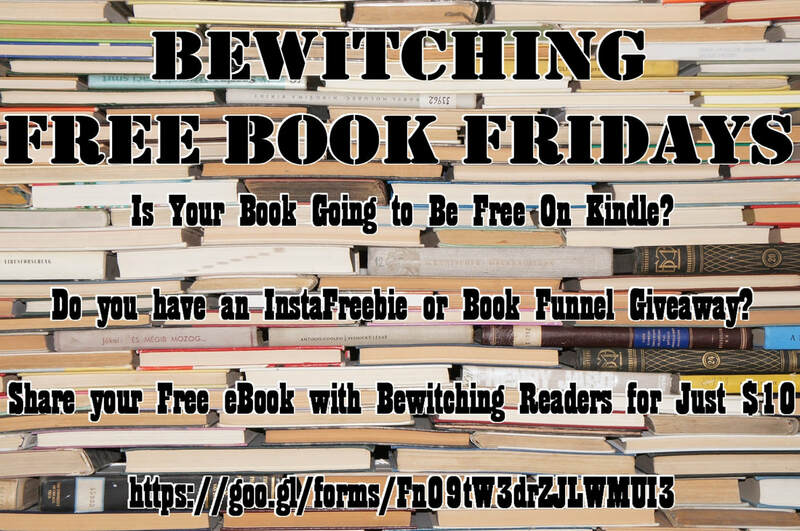 The Bewitched Book Blitz is perfect for an author to get a taste of how a book tour works. Get the most out of your Kindle free days with Bewitching Book Tours. You can announce preorders, new releases, cover reveals, or put a spotlight on a backlist book. please feel free to check out past issues. The author will be responsible for providing party content (book/author facts and links, quizzes, games, and prizes). Bewitching Book Tours can help with brainstorming ideas for content and prizes.